The only club to have hosted three PGA Championships, the Ryder Cup, the United States Open, the United States Amateur, the United States Senior Open and the Senior PGA Championship! It took a heroic final-round score, but Toronto’s Simon McInnis and Garrett Rank managed to fight their way back to the top of the leaderboard Saturday in the final round of the John R. Williams Four-Ball. The duo claimed what is their second title in the event. McInnis and Rank teamed up to win the Williams back in 2015. This week, they put themselves in the mix at Oak Hill Country Club after a first-round 67, but dropped shots in the second round when they fired 2-over 72. A final-round 9-under 62 was just enough to get them into a tie with the Bakersfield, Calif.-based team of Stephen Hale and D.J. Fernando. The two teams went back to the 18th hole for sudden death, where Rank made a crucial par for his side. Hale missed his par putt that would have forced more holes. Rank is a well-known name in northern golf circles. Already this summer, he won the Ontario Amateur and Mid-Amateur, and played the U.S. Open at Shinnecock Hills as an amateur. Rank spends the golf offseason working as an NHL referee. His partner, McInnis, is a former player for the University of Waterloo. Another Toronto team, Craig Hosie and Harris Bundy, finished third at 6 under. That side had the first-round lead after opening with 64, but then fired back-to-back rounds of even-par 70 to fall off the pace. Second-round leaders Andrew Kay of Pittsford, N.Y., and David Fries of Penfield, N.Y., also tied for third at 6 under. 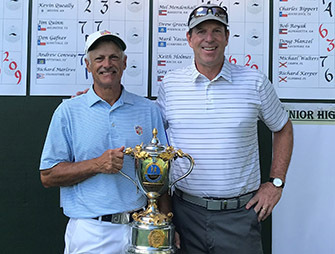 In the senior division, Bob Royak and Doug Hanzel, a Georgia-based team, increased their lead on Saturday and turned it into a nine-shot victory over Keith Holmes and Gay McMichael, also of Georgia. Royak and Hanzel combined for rounds of 63-67-64 to reach 19 under. After two rounds at Oak Hill Country Club, the senior four-ball team of Bob Royak and Doug Hanzel are beginning to pull away. The Georgia twosome followed an opening 63 with a second-round 67 Friday at the John R. Williams Invitational, and will take a four-shot cushion into the final round. In the mid-amateur division, meanwhile, things are a little bit tighter. Andrew Kay and David Fries, from Pittsford and Penfield, N.Y., respectively, lead with an 8-under 132. Two more teams are within two shots, however. Kay and Fries overtook the Toronto-based twosome of Craig Hosie and Harris Bundy in the second round. After opening with 64, Hosie and Bundy came back with 70 to lose some ground. There were three rounds of 66 on Friday, which was the low number of the day. Stephen Hale and D.J. Fernando, both of Bakersfield, Calif., posted a 66 that carried them into second place, sandwiched between Kay/Fries and Hosie/Bundy. Daniel Licursi and Chris Kamin, of Chandler and Phoenix, Ariz., also had that number and that team is tied for fourth. So did the Chicago-based team of Kyle Moran and Charlie Waddell. They are tied for sixth. Notably, 2015 champions Simon McInnis and Garrett Rank of Toronto followed an opening 67 with a second-round 72 to drop to 1 under and into a tie for 13th. As for the senior division, Royak and Hanzel will be looking to hold onto their advantage in the third and final round. Their closest pursuers are Keith Holmes and Gay McMichael, another Georgia-based team, at 8 under after rounds of 65-69. The Williams Committee is pleased to announce the appearance of Rich Lerner to highlight our Wil-Am event on Wednesday, September 12. Lerner follows a list of recent Wil-Am speakers that includes John Feinstein, Curtis Strange, Billy Harmon, Tim Rosaforte, Sir Nick Faldo, Andy North, and Paul Azinger. 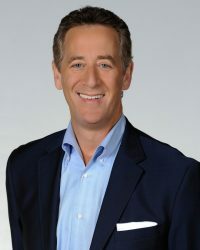 Lerner joined Golf Channel in 1997 and has been involved in many aspects of golf coverage over the last two decades. He currently serves as a play-by-play host for Golf Channel’s PGA Tour tournament coverage. In addition, he is the lead host for the network’s Live From programming airing on-site at golf’s major events. Known for writing and narrating captivating essays on the game of golf and for his interaction with the game’s biggest stars, this year’s Wil-Am promises to be another memorable event at Oak Hill! 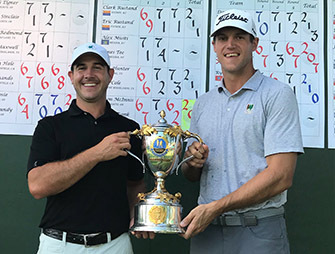 The John R. Williams Invitational is an international Four-Ball competition held annually at Oak Hill that showcases the best mid-amateur and senior players from across the United States and Canada. The Wil-Am is a practice day for John R. Williams contestants that involves Oak Hill members being paired with our Williams’ players. The event includes an afternoon shotgun start, cocktail hour, and dinner that will conclude with Rich Lerner as our guest speaker. The Williams Committee will establish an official registration process for this event. Later this summer, the membership will receive a communication which will detail all available golf and dinner options.